Louise Beech is an exceptional literary talent, whose debut novel How To Be Brave was a Guardian Readers' Choice for 2015. The follow-up, The Mountain in My Shoe was shortlisted for Not the Booker Prize. Both of her previous books Maria in the Moon and The Lion Tamer Who Lost were widely reviewed, critically acclaimed and number-one bestsellers on Kindle. 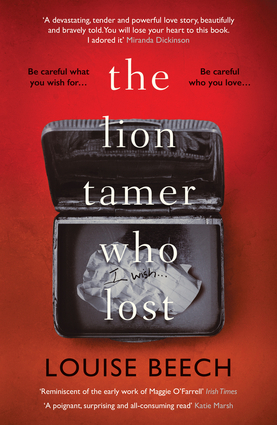 The Lion Tamer Who Lost was shortlisted for the RNA Most Popular Romantic Novel Award in 2019. Her short fiction has won the Glass Woman Prize, the Eric Hoffer Award for Prose, and the Aesthetica Creative Works competition, as well as shortlisting for the Bridport Prize twice. Louise lives with her husband on the outskirts of Hull, and loves her job as a Front of House Usher at Hull Truck Theatre, where her first play was performed in 2012.